New upcoming fashion house out of LA – Rocket Baby (R.I.B Wear) – is looking for models of all ethnicities for initial shoots and possibly ongoing work. First shoots will be TFCD/TFP and used on the main company site, possibly some print, and promotional material. High potential for paid future shoots, and spokes models roles. The lines will be couture and casual, raceway inspired outfits; targeting a high glam/high fashion market. Currently tying in celebrity endorsement and getting ready to launch. 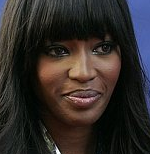 It was revealed that super model Naomi Campbell plans to open a modeling agency in her home town (Kenya) in an attempt to right the balance of black to white models in the industry.